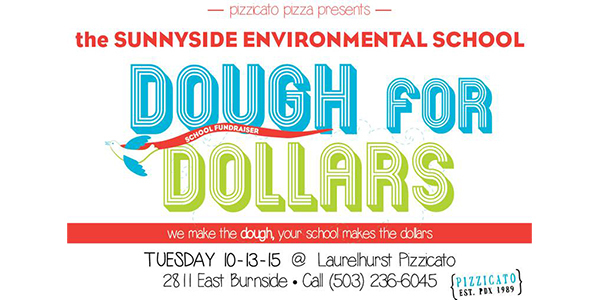 Mark your calendars for our next donation night: Tuesday, October 13 at the 2811 E Burnside Pizzicato location. All eat in, pick-up and delivery orders made on that date at that location help support SESâ€”to the tune of 20% of Pizzicato’s proceeds. Think we can break the record we set last month at Teote? Visit the Pizzicato site to check out their menu and start planning now.